It seems that kelp can do just about anything. From stabilizing and thickening foods to fertilizing plants, this giant algae has a million different applications. But who could have thought it would make an attractive addition to your home? 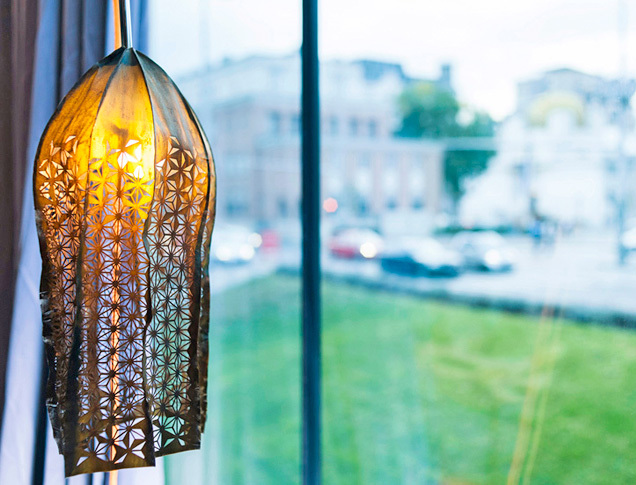 Artist Julia Lohmann has used the sensational seaweed to create beautiful laser-cut lampshades. The kelp’s dried green skin produces a soft glow while the pierced geometric patterns reminiscent of Japanese textiles give the lampshade a lacy, delicate look. More fragile in appearance than her previous series of lamps, Kelp Constructs, we can certainly imagine this seaweed gracing our homes. After first stretching and drying the algae over rattan frames, pieces of the thin green kelp are carefully cut with a laser and stitched together. Lit from within, the lamps seem to float and shine like an underwater kelp forest. By literally and figuratively highlighting kelp, Lohmann hopes to promote the humble seaweed as a viable material for art and manufacturing. “I want to develop tools to make something from the material that is very valuable, and then I would love to share them with the communities, who then can combine them with their local craft techniques,” says Lohmann. Next year, Lohmann will introduce the Department of Seaweed at the V&A Museum in London during her tenure as artist in residence. Her project will be a comic interpretation of the institution’s established schools of concentration such as the Department of Ceramics or Metalwork. We can’t wait for her to dive in! It seems that kelp can do just about anything. From stabilizing and thickening foods to fertilizing plants, this giant algae has a million different applications. But who could have thought it would make an attractive addition to your home? 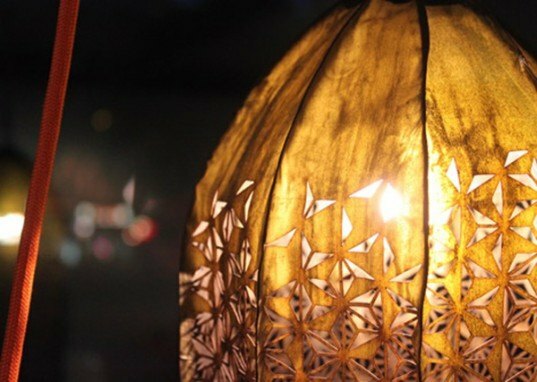 Artist Julia Lohmann has used the sensational seaweed to create beautiful laser-cut lampshades. The kelp's dried green skin produces a soft glow while the pierced geometric patterns reminiscent of Japanese textiles give the lampshade a lacy, delicate look. More fragile in appearance than her previous series of lamps, Kelp Constructs, we can certainly imagine this seaweed gracing our homes.